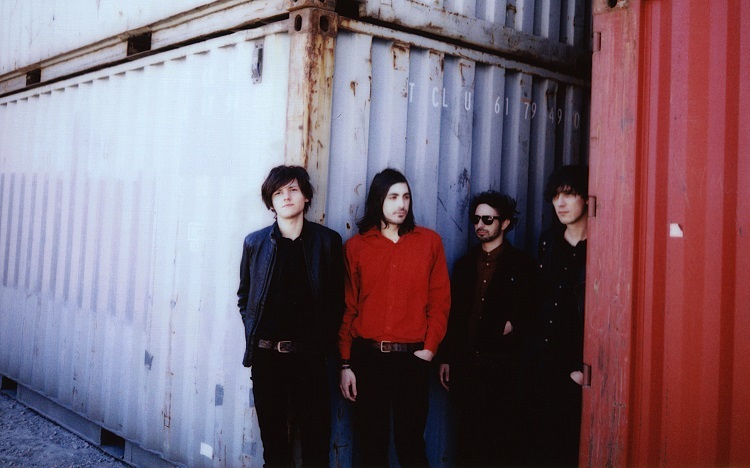 New Candys are a deliciously dark psychedelic band based out of Venice, Italy. With 2015’s release of ‘New Candys As Medicine’ the four-piece garnered critics praise, and there’s more soon to follow with their latest: ‘Bleeding Magenta’ out via Fuzz Club Records. You can catch the band live at SpaceFest! 2017, a music festival dedicated to psych, shoe-gaze, and space rock. How was New Candys formed? Take Last Day Deaf readers back to the beginning. Fernando and Diego were football mates and started to write songs together with acoustic guitars, then they met Stefano who started to play the bass. After a couple of drummers that didn’t fit much they met Dario, as soon as he joined the band, everything started to work. It was early 2008. I’d describe New Candys as a Τhe Doors, Bauhaus, The Astronauts mashup. Do you think that’s an accurate description? Who are your influences? Your first single off of ‘Bleeding Magenta’, ‘Excess’, is straight up psych-rock, and I’m loving it. What’s the story behind this track? I quite like the cover art for ‘Bleeding Magenta’, could you explain the symbology behind it? What was the recording process for this album like in comparison to recording previous releases? For our first two records we always had a limited amount of days to record all the songs. This time we recorded only the drums in three days in a Studio in Bologna, then in about two months we recorded the rest of the instruments and the whole ‘The Outrogeous Wedding’ at Fox Studio in Venice with Andrea Volpato, a friend of us who has done an amazing job. We took our time for each song, experimenting and trying to get as much closer as possible to the idea of sound we had in mind. We’re really happy with the final result, we consider ‘Bleeding Magenta’ to be our best sounding album. Favorite track off of ‘Bleeding Magenta’? Let’s talk about gear. With all of the reverberation you all surely have some interesting gear, what do you use? Diego plays a Gretsch from 1962, Fernando plays a Fender Coronado II from 1968 with Rickenbacker pickups. Stefano a Vox Sidewinder from 1967 and Dario use a Gretsch drum kit with an old large ride he really loves. We use a lot of effects too, with some handmade pedals and uncommon circuit solutions. We like rare instruments, cause we believe the uniqueness of the sound is one of the most important things when making music. You’ve started in on a 25-date tour, tell us a little bit about the tour life for you guys. And do you have any music you favor listening to on the road? Touring is great, the first one in 2015 has been more punk, the more we go on the more comforts we get, this is nice, obviously, but the most hilarious moments usually happen during uncomfortable situations! Playing outside of Italy is more fun for us, so we can’t wait to go on tour abroad. We usually listen to recent albums in full cause we have a lot of time, we play some classics too, depending on who drives. The driver is the dj. You’ll be performing at SpaceFest! this December in Poland; what do you have in store for festival-goers? We’re really happy to play SpaceFest!, we’ve heard from some musician friends that it’s a wonderful festival, it will be our first visit to Poland, too. We’ll play our new album mainly, plus some of the best songs from the other records. We’re sure it’ll be fun! What can fans expect from New Candys in the upcoming year? An Australian tour is in the works and we’re really excited about it. There’s also a concrete possibility we’ll tour the States too, we will know better in a few months. We already started to work on fourth album, our aim is to complete the writing in 2018. 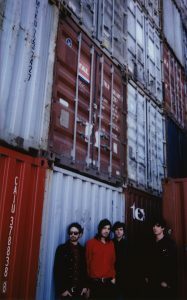 Tags: Fuzz Club RecordsInterviewsNew CandyspsychSpaceFest!